I once had a very interesting conversation with a young lady about bread. I asked her if she knew where bread came from. Her quick quip: the bread aisle in my grocery store? Yes, she was being funny, but she'd also never made bread.Never selected the flour, never seen yeast bubble, never let her hands play with a ball of dough. Unfortunately I've had too many conversations like that with too many young people. And I started wondering, why? Circumstances. Growing up in Bangladesh, I was very lucky to have a baker for a mother. I grew up swooning on the smell of fresh baked bread. The house I grew up in was surrounded by a huge garden filled with fruit trees -- mango, papaya, jackfruit, and guava. We grew spinach, potatoes and gourds. As an adult, I'm very lucky to have married into a West Texas farming family. For generations, the Cowboy and his family have been raising their own food and raising crops to sell. Most of the meat in my freezer comes from freshly butchered animals from the one of the family farms or 4-H projects, and deer hunted by hunters in the family. 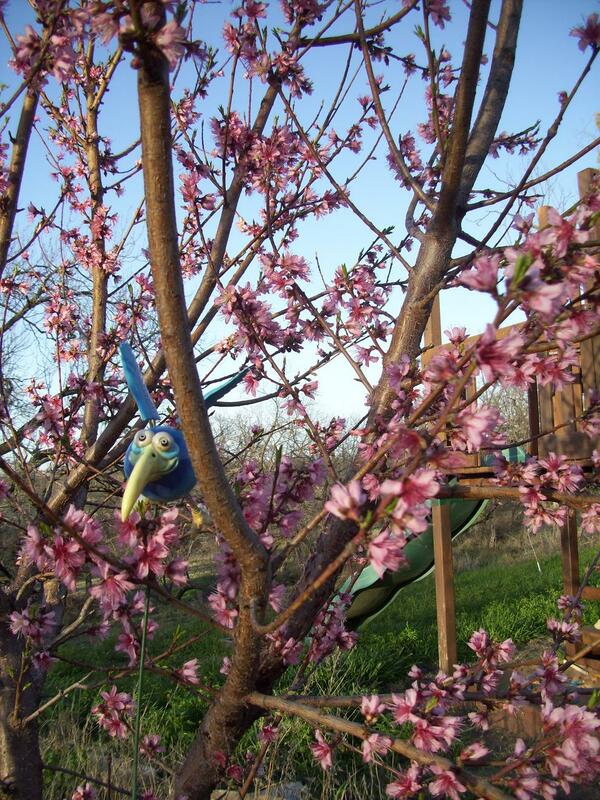 When building a house together, the Cowboy and I chose a 1-acre lot just so we could garden. 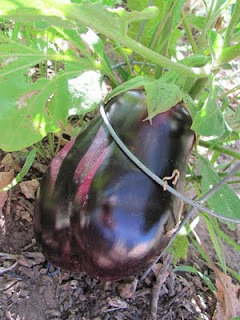 We've grown eggplants, peas, potatoes, acorn squash and tomatoes. Every year, we try something new. 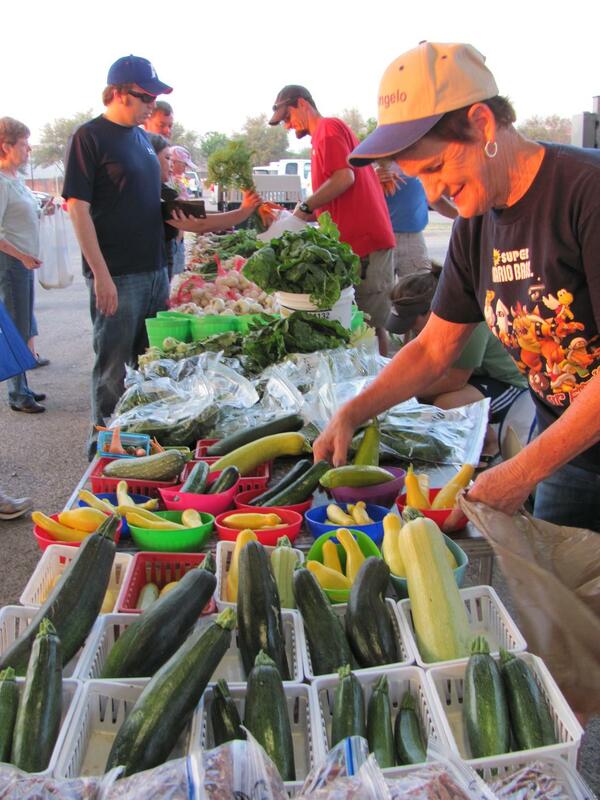 What we don't have we get from the gardens of family and friends, or we supplement by shopping at the Concho Valley Farmer's Market. The bread conversation, and others like it, has made me emphasize local food, gardens, farmers, and cooking to my own kids. I want them to know food, enjoy it, celebrate what it take to bring to the table. Then I found out about the NOLA LOCAVORES and their first annual New Orleans Eat Local Challenge. I was awed, impressed and inspired. What a great idea. 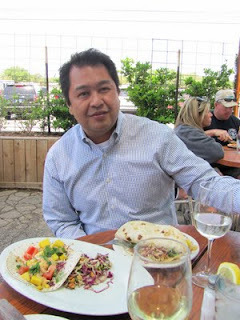 This led me to embark on my own Eat Local Challenge, create a facebook page and led me to write an article to rally other West Texans. So from June 1-30, I'll be doing my best to Eat Local. Want to join us? Recently I had the good fortune to chat with Chef Dave Cruz, the Chef de Cuisine of Ad-Hoc, considered one of the “Top 100 Bay Area Restaurants” by the San Francisco Chronicle and part of the Thomas Keller group of restaurants. He happened to be visiting family in West Texas. Naturally, our conversation turned to vacations. Now my idea of a perfect vacation would include eating my way through exotic lands like Greece, Italy, France, Singapore and…the list goes on. Sometimes, it's running off to a deserted island all by myself with a good book. 1. Checking out restaurants and eating. 2. Coming home to his family. For more on that, check out my article. “When I go to a restaurant, I order a lot of food so I can taste across the menu,” he said. We ended up sharing a ceviche, a salad of crab cakes and field greens, and Mahi-Mahi tacos with a mango salsa. But the best part, for me, was about three hours of conversation about food: cooking, ingredients, philosophies. Of course, I came home totally inspired. So after I worked on my article for a bit I tried out a recipe from Ad Hoc At Home, a cookbook featuring family style recipes and a project Chef Cruz collaborated on with Chef Thomas Keller. 1. 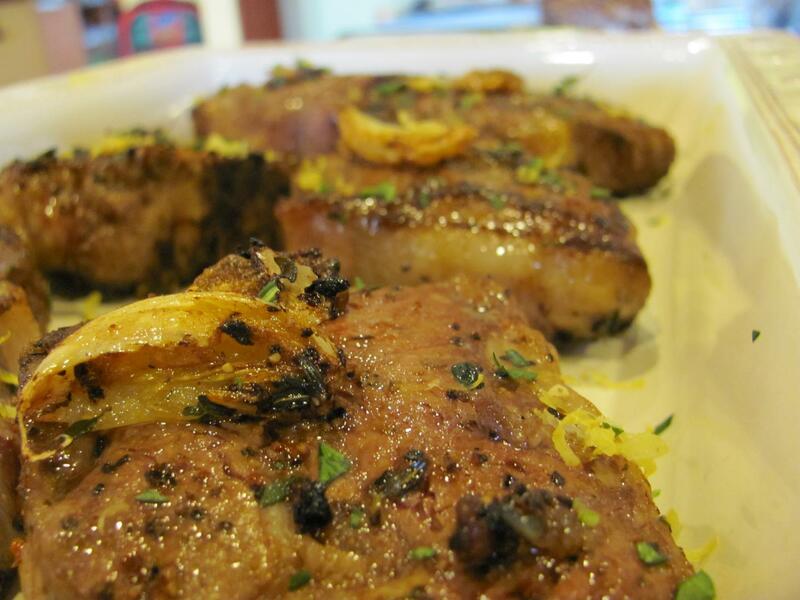 Remove the lamb chops from the refrigerator and let sit at room temperature for 30 minutes. 2. Preheat the oven at 350 degrees. Set a cooling wire rack over a baking sheet. 3. Season the lamb chop generously with salt and pepper. 4. Heat some canola oil in a large frying pan over medium-high heat until hot but not smoking. 5. 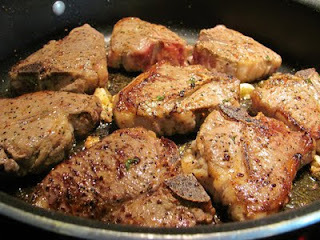 Add 6 of the lamb chops to the pan and cook until well-browned on one side, about 3 to 4 minutes. 6. Turn the chops and add half the thyme and garlic, and cook, basting the meat with its own fat, until browned on the second side. 7. Transfer to the cooling rack, along with the thyme and garlic. Repeat with the remaining chops, thyme and garlic. 8. Transfer the chops to the oven and cook for 7 to 8 minutes, or until the internal temperature of the meat is 128 degrees to 130 degrees. Remove from the oven and let the meat rest in a warm spot for 15 minutes for medium-rare. Excerpted from AD HOC AT HOME COOKBOOK by Thomas Keller (Artisan Books). Copyright 2OO9. Deborah Jones photographer. The recipe wonderfully showcases the flavor of lamb, with the garlic adding a nice flair. Frying the garlic creates bits of golden crust on the outside, but the later roasting makes the inside sweet and buttery soft. I loved the garlic so much, next time I’m going add more cloves. I managed to garner a great guest post on the craft of writing for the Romance Magicians. Check it out! Romance Magicians: Why your fiction should transcend life? Author Jod...: "I 'met' author Jody Hedlund on Twitter where she posts writing tips and links to posts full of common sense, quiet encouragement and insight..."
The Cowboy recently had a birthday and requested banana bread for his cake. Seriously. I mean I like banana bread. It's a classic because it's good, but it's so...no-frills. That would be the same as me asking for a vacuum cleaner for our anniversary. Not in a million years. Totally anti-climatic. 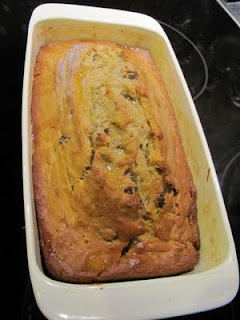 But the man had made up his mind and he wanted Banana Bread. Fine he'd get his banana bread, but it'd be one heck of a special banana bread. I had some dried figs on hand that I'd been trying to figure out uses for, and figs to me are rare and luxurious ingredient. So threw in some figs. And, I'd recently attended an amazing #Spicechat on twitter and was totally inspired about Caraway Seeds, and especially about using them in a seed cake. While Caraway seeds have an unassuming appearance, one bite can knock your sock off with robust flavor reminiscent of liquorice, citrus and peppermint. Just the kind of zing to push it out of the realm of ordinary. 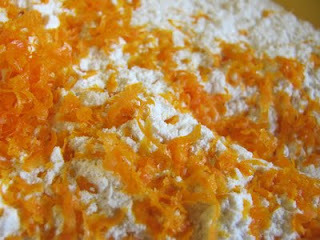 To enhance the citrusy taste and add some color, in went the zest of an orange. 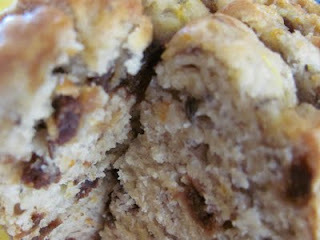 I reserved the juice of half the orange, and ate the other half (see, I told you this Banana Bread was good for you). Once baked and sliced, it revealed it's inner deliciousness. A surprise of color, aroma and flavor. 5. Add the eggs one at a time, beating to blend after each. 6. Add in the banana and sour cream, beat to blend. 7. Spoon in the flour mix, a little at a time, until a moist batter is formed. 8. Add the figs and gently fold into the batter. 9. Pour the batter into the loaf pan and bake for about an hour, until a toothpick inserted into the center comes out dry. 10. Using the same toothpick, poke tiny holes at regular intervals on top of the hot cake. Here's another post on Caraway by a #SpiceChat friend. My last blog post on peas, inspired my this week's article in the San Angelo Standard-Times. It's amazing how the human mind works and connects. Writing a blog post about peas for my friend with cancer, thinking of Spring, sent me out into my garden, down memory lane, to my mom and then back to my kids. The article meanders through my thoughts. 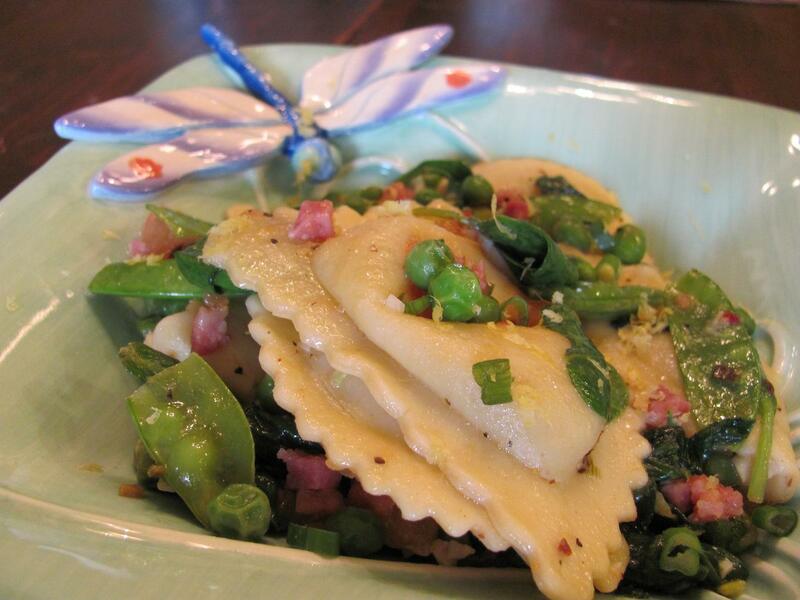 Raviolis with peas, spinach & prosciutto. Yum! And Spring has come again. Whene'er she smiles or speaks. 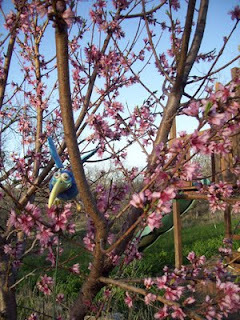 Spring, with its new leaves of bright green and show of flowers –from the fuzzy caterpillar-like Mesquite blossoms to the riot of wildflowers, is a time of hope for me. I breathe in the cool spring air and it makes it possible for me to endure the earth-cracking, oven-dry heat of a long West Texas summer. So when our #LetsLunch twitter group decided to host a liquid lunch to commiserate with fellow member Karen, who is restricted to a liquid diet because of cancer surgery, I wanted to wish her all the goodness of the season. 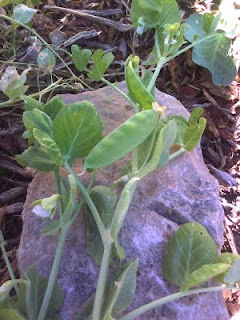 Nothing says “Spring” to me like peas growing in the garden. The soft tendrils, pretty flowers and delicious pods hiding tiny gifts packed with sweet flavor and nutrition. Peas are a good source of Vitamin A, Vitamin C, B1, folate, iron and phosphorus. They are low in fat and sodium, but rich in proteins, carbs and fiber. 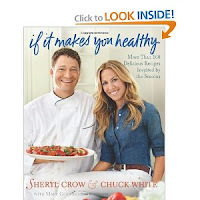 I chose a recipe out of “If it makes you healthy,” the new cookbook by singer Sheryl Crow, another cancer heroine, and her chef Chuck White. I’m loving this cookbook because it’s focused on seasonal eating, quality over quantity and a healthy diet. The recipes are interesting and creative. And I love the glimpses from Ms. Crow’s life, kitchen philosophy from the chef and, the occasional, nutrition notes from dietician Rachel Beller, MS, RD. The brilliant color, minty aroma and refreshing taste make this lovely. It tastes good warm or cold from the refrigerator. According to Rachel, the mint not only refreshes your senses, but also helps stimulate digestion. 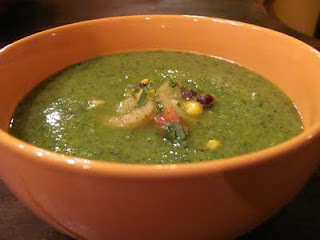 I put a dollop of Shrimp Salsa in my soup, but you don't have to. Wishing Karen and others happy eating and good health! My son adores Winnie-The-Pooh. In fact, his constant companion is this soft, well-loved Pooh that's got his stuffing totally redistributed and flattened. We've tried to tempt him with newer, shinier versions. His answer is to clutch that old Pooh tighter. As it should be. 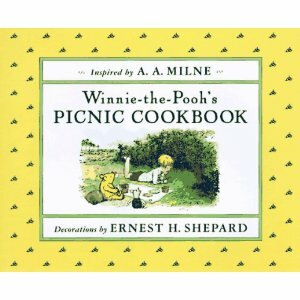 We, as a family, are partial to picnics and explorations Pooh-Style. As long as the weather is favorable, we're ready for an impromptu picnic. The only must-have at a picnic: Fun. So this Mother's Day, why not go on a family picnic? My column in this week's Standard-Times shares 10 Tips for a Successful Picnic. An early Happy Mother's Day to all the moms who happen to read this! In my sacred writing space office, I have a special shelf for Keepers. These are books I read over and over again, by authors I admire. Most of these authors are people I've never met (and if I do, I'll probably be too tongue-tied to say more than "HiOMGiLuvYourWrItinG!" Then there are books by mentors, amazing industry professionals I've had the good fortune to meet and learn from. There are also books from writing friends, with personal messages scribbled inside. In other words, the Keeper Shelf is home to books that've meant something to me. Joining this treasure trove is a new book: LIFETHREAD written by my wonderful Critique Partner Lucie J. Charles. Lucie and I met on a crit loop and I fell in love with her stories. Her characters and words are amazing. I'd happily kiss her adult heroes and bake apple pies or go man-hunting in the swamps of Louisiana with her heroines. Her way with words not only leaves me wanting to read more of her stories, it's helped me grow as a writer. Now I've been one of the people fortunate enough to see Lifethread evolve --from rough draft to finished. And I've enjoyed every minute of it. What's not to enjoy? The book has demons, the Fates, a hunk and three spunky heroines. It's about life and death, and most importantly friendship. 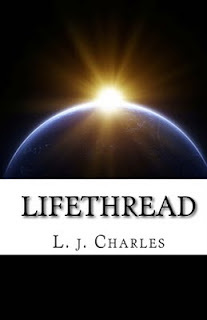 Lucie's FREE short story, Lifethread: Mistake, now available at onKindle. You can learn more about Lifethread here.